Is there no limit to the gimmicks? Even in a city obsessed with wang hong, from bread rolls stuffed with mayonnaise to rainy art exhibits, the latest seems incredible: milk. Milk. The stuff you pour on cereal in the morning. Milk, the stuff Chinese people are supposedly not able to drink because they are lactose-intolerant. Milk. It’s now the hottest thing for a segment of the population queuing on Changle Lu on the weekends. 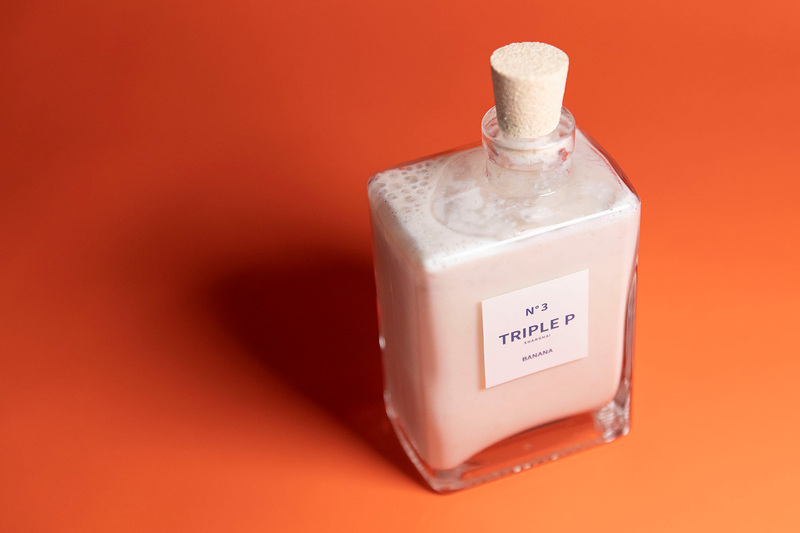 Meet Triple P, wang hong milk window. This is not just any milk. Well, who knows what the actual milk milk is. 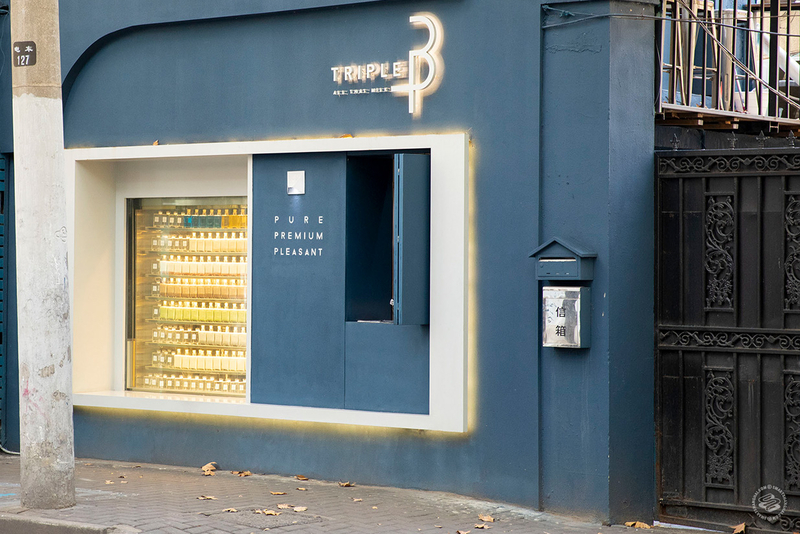 But the gimmick here is the bottle, a heavy, oversized glass replica of a Chanel perfume bottle, filled with milk of various flavors and in pastel colors (green tea, chocolate, banana), and set into a plate glass window. They open in the late morning, a single half-height window counter with no actual space to walk into. They sell out by the early evening, the bottles replaced with empties and the Venetian blinds shuttered until the following day. How is it? Does it matter? The point is not whether the milk and bottle are worth 35rmb, but that the Age of Wang Hong has gone truly crazy, driven by the insatiable appetite of Shanghai for new gimmicks. Digestibility be damned. It looks like Chanel.